Some 40+ years ago, Fisher Price Little People toys were some of my favorite toys. My sisters and I had the school, the town, the A-frame house, the cottage house, the school bus, the airplane, the school house, and many more. Whenever we "played people" we would spread them all out across the carpet in an entire room and play for hours. 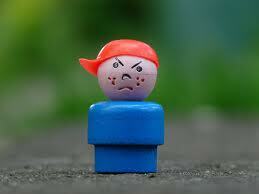 The earliest people toys were made of wood and later plastic. Today's rendition of these toys are larger because some children apparently choked on them. I wonder why the government never made minted coins larger since children are still swallowing pennies, nickles, dimes and quarters. What was one of your favorite childhood toys? One of the first toys I can remember playing with is pick up sticks. But I always loved coloring books and then moving on to reading. I still love to read today.